An engineer by profession, Ishu Bansal did his graduation in Information Technology from Ajay Kumar Garg Engineering College. He has worked for several companies such as InfoSys Limited, SapientNitro, and more. Ishu also founded Sarvodaya Ventures, which is a firm passionate about IT solutions and provides solutions like Web designing and Web development. While working in IT sector, Ishu realized that the work he was doing was not his calling. One day, he got an idea and discussed it with his friend, Amit. 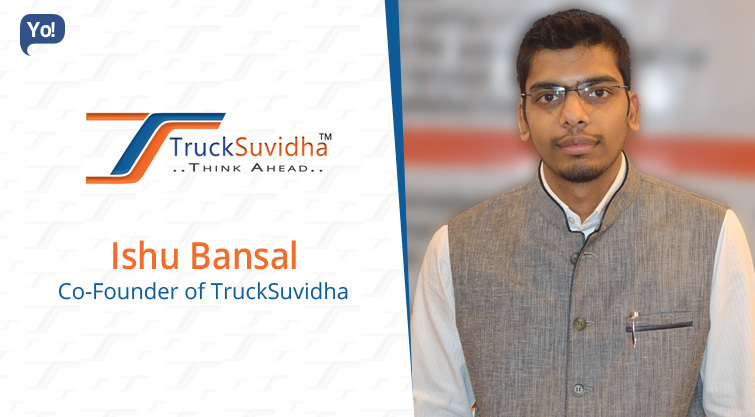 Upon further discussions, together, they conceptualized Trucksuvidha, which is a web portal for the transportation industry that connects transporters, truck drivers, customers and other related entities. 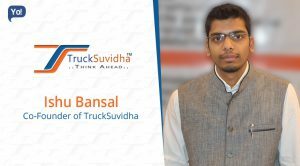 Trucksuvidha.com is a web portal for the transportation industry. Connecting transporters, truck drivers, customers and other related entities. Simplicity, speed and efficiency drive your business and this is our focus as well. We provide the service that will help the user to get the movement of vehicle and material efficiently. It is working with an aim of upliftment of truck drivers as well as modernization of whole transport industry. Core services are free listing, post load, post truck, load board, truck board, distance calculator, etc. TruckSuvidha is working on a theory, “If there are problems, there are solutions as well”. I was working for a technology company for more than 3 years and though I was good at my work but somehow I felt that it was not my calling. Like any other day I happen to be discussing my passion with Amit. Amit, a well versed business man was caught up by my idea and decided to be a part of it that moment only. After that one thing led to another and TruckSuvidha came into being. There are many challenges that we are facing in this business. Few of them are providing knowledge of internet to our users, changing the mind-set of the people, upliftment of truck drivers as well as whole transport industry, eliminating the communication gap between them, etc. The best way to overcome any problem is to face that problem. We have specialized customer care department which is available to assist them at each and every point. We guide them to learn how to use internet. They tell their requirement by calling on helpline no. and our customer care department do all the work on their behalf. Along with internet we make available the facility to get each information on their mobile phone.